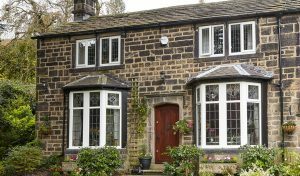 Gary Warby, Managing Director Premier Windows, explains how homeowners can bring space to their home at a comfy price. The UK builds some of the smallest houses in Europe. It has been said that houses are being built so small that they’re becoming places where you’re cramped rather than relaxed – something that is now taking a toll on our well-being. This has meant that the government has to find alternative housing laws to make sure that new homes provide enough space, including not just living space but adequate storage and that more of them are built. This is something which we would echo and needs to be a pressing priority for UK policy makers. Minimum room sizes need to be redefined, they need to be better designed, making more use of the space that they do deliver. It’s also critical this is accompanied by a shake-up in the planning laws – for a long while we have not built enough houses. However, this does not happen quickly and with the avarge house now nearly hitting £300,000, moving to a larger house is simply not currently an option for a lot of families. A basic analysis of the cost of moving home places estate agency and legal fees at roughly five per cent of your onward purchase price. That’s £15,000 on the ‘average’ UK home. Energy efficient and even self-cleaning glass means that new glass extensions can be used for a wide range of things, such as for use as dining room, sitting room or kitchen. There are also a great deal of alternatives such as the introduction of an atrium or ‘lantern’ roof to a ‘traditional’ brick extension, plus ancillary products, for example bi-folding doors, that when retracted can open whole facades to the great outdoors. The pricing is one advantage. Sun rooms, orangeries and glazed extensions come in at a lot less than a traditional build. The other, is that disruption is kept to a minimum. You will not need workers on site for a long period of time, builds are reduced to just a few weeks because your new space is manufactured off site. This means that when it is built once the footings have gone in your new space will take shape in just a few days. Manufacture under factory controls also ensures perfection that can’t usually be achieved on site. It means that whatever the weather, your build will go to schedule. Premier, offers one of the UK’s widest choices of conservatories from a manufacturer at the forefront of innovation. Each is loaded with tech, so no matter whether you choose a classical or contemporary design you can be confident that it’s going to work as a comfortable and flexible family living space in any season. Call 0800 854 353 or email enquiries@premwindowsanddoors.co.uk to find out more.